Make history as the legendary Master Assassin, Ezio Auditore da Firenze, in Assassin’s Creed The Ezio Collection, which includes the acclaimed single-player campaigns and single-player add-on content* from Assassin’s Creed II, Assassin’s Creed Brotherhood, and Assassin’s Creed Revelations with enhanced graphics for Xbox One and PlayStation 4. Live the life of Ezio and learn the ways of the Assassin as he seeks vengeance for the betrayal of his family. Travel through 15th-century Renaissance Italy, including the capital Rome and finally onto 16th-century Constantinople. Assassin’s Creed II – Ezio’s saga begins as you fight and explore through the open world of the Italian Renaissance in an era of arts, riches, and murderous conspiracy. 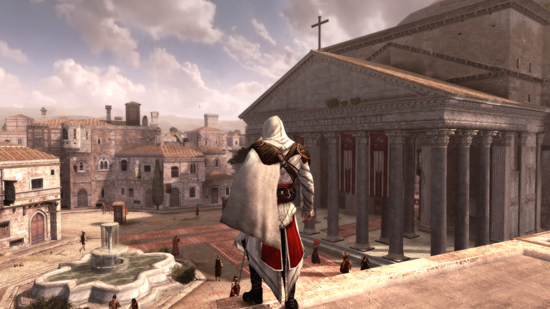 Assassin’s Creed Brotherhood – Journey into Italy’s greatest city, Rome. 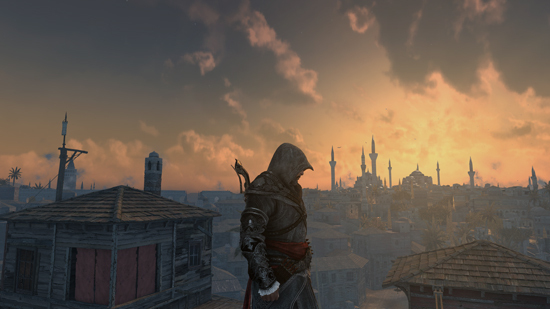 The centre of power, greed, and corruption, as Ezio takes leadership of an entire Brotherhood of Assassins. 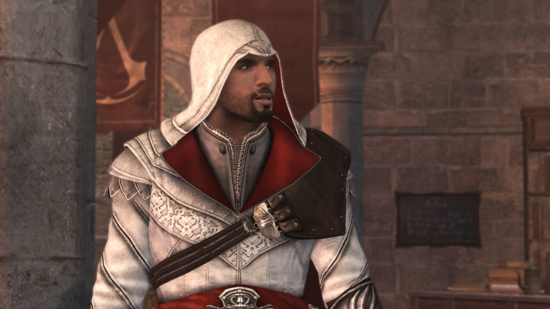 Play as Ezio, the most celebrated and iconic Assassin in the Assassin’s Creed franchise. Join him on his journey from a young man to the most legendary leader of the Assassin Brotherhood. Follow him in his final quest for discovery and revelation through all single-player campaigns and single-player add-on content from the three collected games. Experience these three classics with greater hardware capabilities and processing power, bringing the stories and immersion to life with enhanced graphics and post-processing techniques. and Assassin’s Creed Embers short films included. *Does not include multiplayer content.